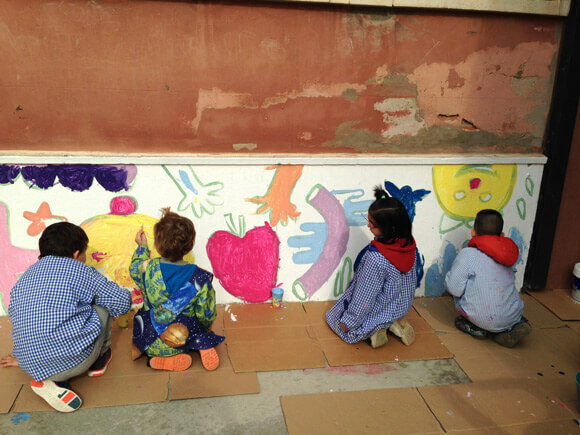 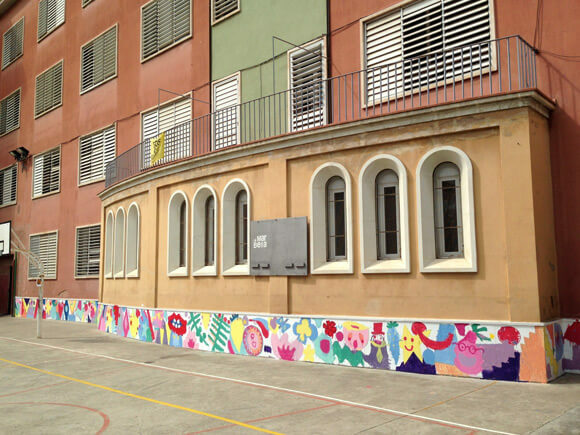 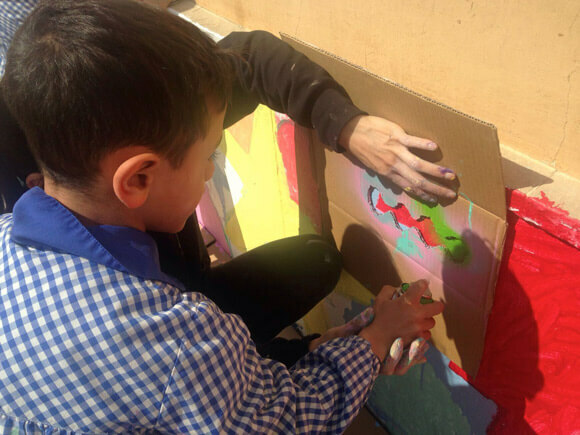 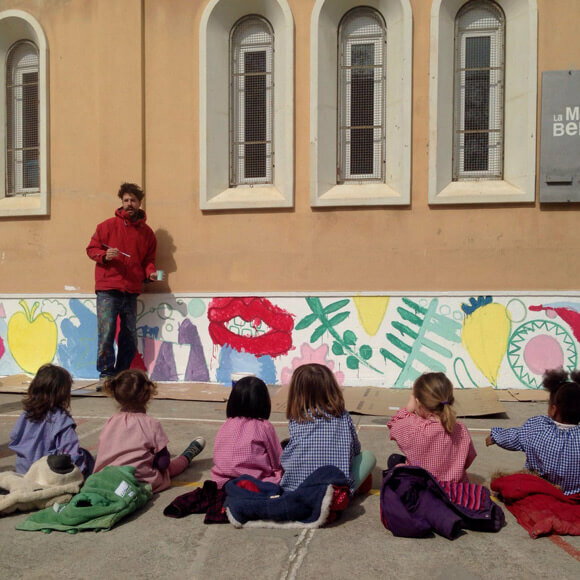 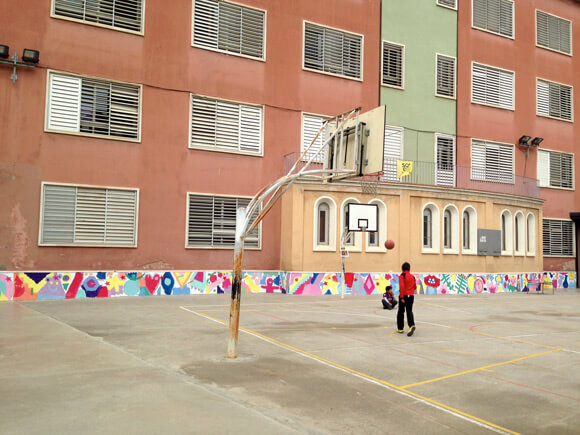 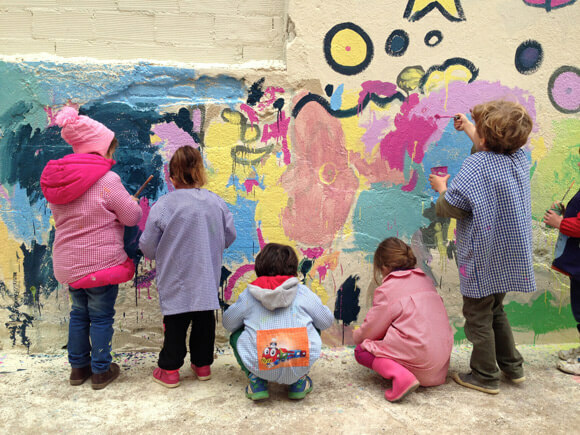 During the month of March, the Barcelona school, La Mar Bella, and La Escocesa Center for Creation made an agreement on a series of activities to encourage creativity for students at kindergarten. 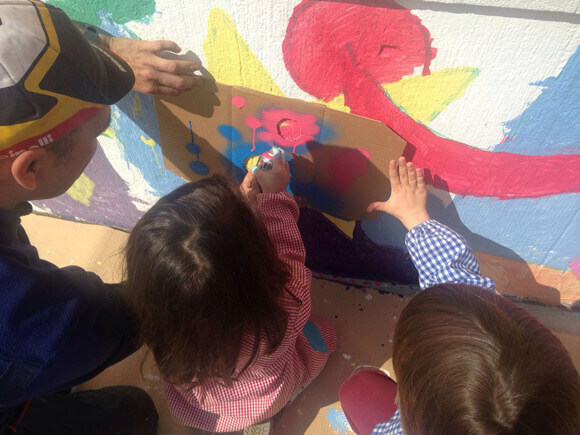 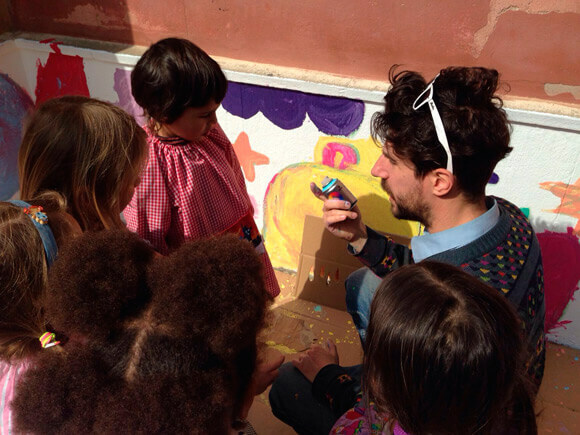 With teachers as special as Zosen, Mina Hamada and Otica at their disposition, the little ones visited the La Escocesa space and participated in the decoration of the school’s patio. 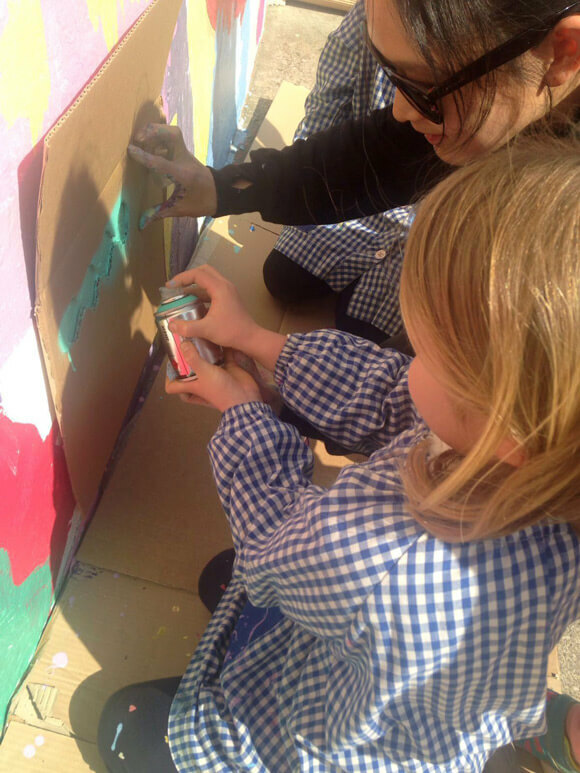 It was a stimulating experience for this future generation as well as for the artists themselves, that also served as a starting point in the aerosol technique for the students thanks to the MTN Water Based 100.